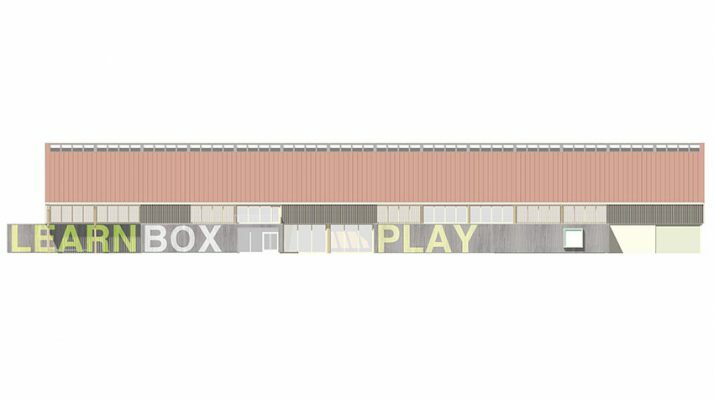 This project is for a new roller rink, indoor sports and community facility in Bordon, Hampshire. 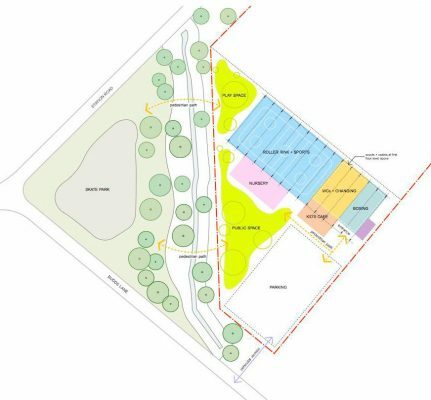 The proposal forms part of the Whitehill and Bordon regeneration project transforming a 100-year-old army barracks into a sustainable green town. 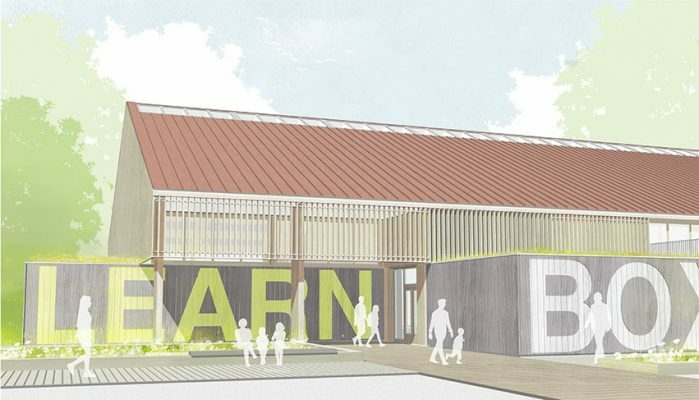 In order to achieve the long, clear spans necessary for an indoor sports facility large glued laminated timbers structural frames are proposed. Timber structural insulated panels (SIPs) span between these frames and together create an internal palate of materials reminiscent of the neighbouring South Downs’ woodland. 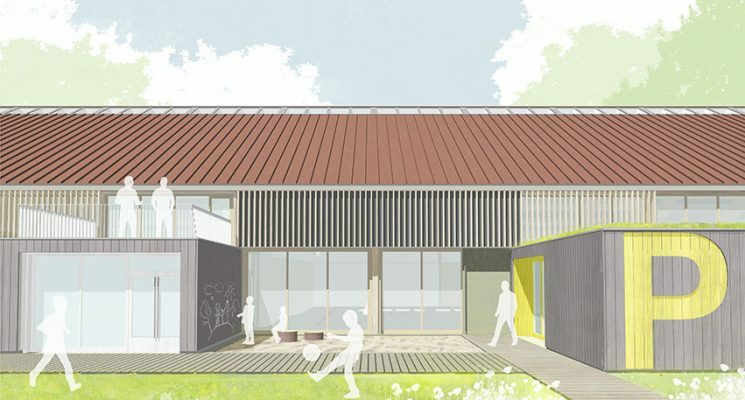 Smaller, timber clad elements housing supporting aspects of the project brief including a nursery, café and scouts/cadets space integrate with the larger building mass, breaking down the façade and reducing the scale to its occupants. 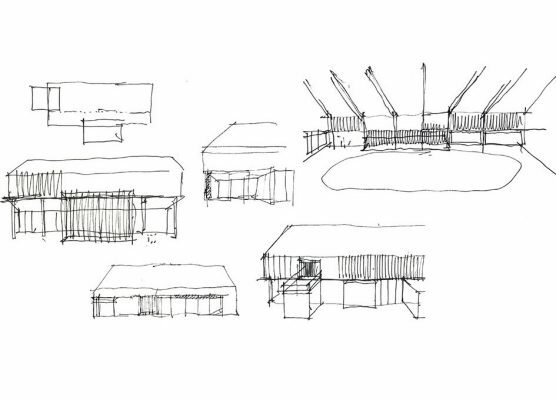 These intersecting elements establish a series of more intimate, protected spaces around the building perimeter, creating areas to gather, play, eat and rest within.